At its core for most people, industrial asset recovery is about taking an asset that you have determined to no longer have enough value to be in use (aging, new technology etc) or equipment that is surplus to your operations and attempting to recover any amount of value it may have left. While the methods of recovering value for this equipment may vary based on the process overall the concept should be straight forward. However, this is not the case when speaking to business owners, and C-level executives across the world. Many of these people when asked about asset recovery are unsure and unclear what to believe based on several different sources of information and conflicting information. 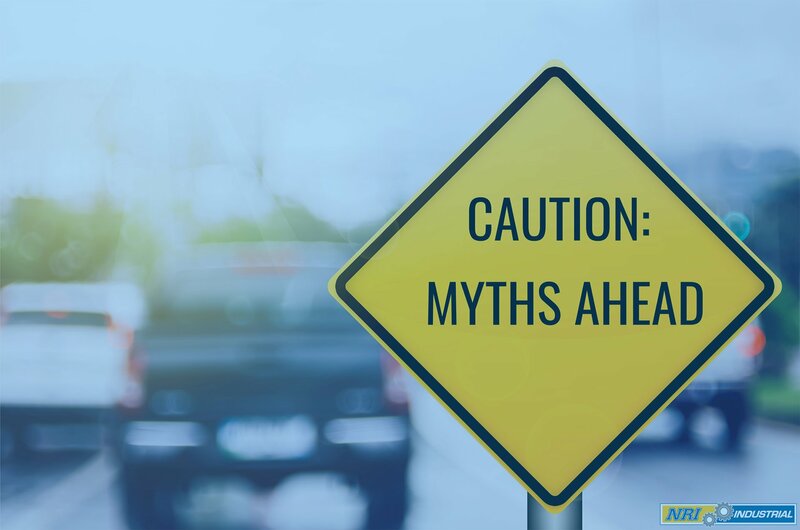 This article was written to set the record straight and to debunk the top 5 myths about implementing an asset recovery strategy. Myth #1 - Used Industrial Equipment Has Zero Value in the Resale Market - False! You may be familiar with the age-old idiom “One person’s trash is another person’s treasure”. While we certainly are not saying your used industrial equipment is trash the message is clear. Just because you no longer have a need or use for equipment doesn’t mean everyone else will feel the same. Just because your company has moved on from equipment that is beyond its use for your business doesn't mean that other companies aren't willing to invest in it. There are several different instances where a business may choose to invest in used industrial equipment rather than spending money on new machinery. 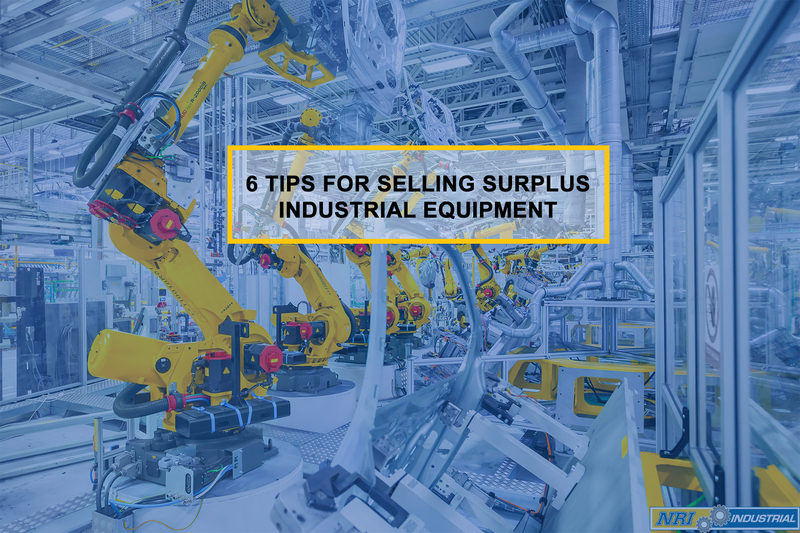 As you move your business forward with new equipment, save on that investment cost and give that old machinery a new life through selling the used industrial equipment as part of your asset recovery strategy. Another instance of someone wanting to purchase used industrial equipment is businesses or corporations in developing nations. These businesses may not have access to purchase new equipment directly from a vendor. Another reason your used industrial equipment is desirable in developing nations is the cost. The cost of this equipment is lower but allows this business to create a better product for sale. The final instance of used industrial equipment being desirable might be re-sellers or refurbishers. This secondary market looks to purchase used industrial equipment and use their skills and attempt to resell the product for more than they purchased this equipment for. Myth #2 - The Only Way to Get Value from Used Equipment Returning It to the Vendor - False! You may get a good deal from the vendor, but quite possibly only if you're going to be buying new equipment from them in exchange. If they're making a big sales push, they may be willing to give you a decent exchange for your old machinery, but if their business is doing well, they may even offer you less than market value. It's very important to look at all your options instead of simply returning the equipment and hoping for the best overall results from the transaction. Myth #3 - Asset Recovery Is Extremely Time-Consuming - False! Industrial asset recovery is only as time-consuming as you want it to be! There are a wide range of options available, depending on how quickly you want to turn around the machinery for capital versus waiting for the right buyer to maximize profitability. This can include a wide range of factors, such as whether you want to spend time conditioning the machinery for sale, whether you have warehouse space to store it while waiting for an appropriate buyer, if you want it to be gone as quickly as possible or if you're waiting for the right sale opportunity for your used equipment. The amount of time required to implement and operate your asset recovery strategy is entirely dependent on you and your company's goals. You may be able to set up a quick liquidation, providing you with fast access to additional warehouse space for production. If you want to maximize profitability, reconditioning the equipment to a certain extent while setting up meetings with private buyers or an online auction may provide you with better opportunities. You can even choose to remain relatively hands-off of the process by entrusting it to an outside company to handle all the details, providing you with payment when your equipment sells. The only thing that can make implementing an asset recovery strategy time consuming would be continuously debating getting the process started. Myth #4 - If I Am Re-Selling Equipment I Must Pay to Refurbish the Equipment - False! Don't fix that old equipment unless you absolutely have to! Your equipment doesn't have to be in perfect condition to sell, and many companies turn a tidy profit themselves by simply purchasing older machinery that needs work and then refurbishing it. This still provides you with good opportunities to maximize profit without a lot of extra expense and work involved in the refurbishing process. Though you should make sure your equipment is in good condition, and clean. For most situations, you don't need to worry about anything more than a simple cleanup to get your equipment ready to go. People who are buying used equipment expect it to be just that - used. They're not expecting that new-car smell or factory-fresh appearances, just solid machinery that will serve their purposes well for many years to come. This allows them to invest and expect a solid value without having to break the bank in the process. Whether it's a struggling business that is trying to increase production, a new enterprise that is minimizing financial risk or refurbishers who will turn a profit on the reconditioned equipment, you have many options available in terms of potential buyers for your used machinery without having to take on a lot of extra work and investment on your end. Myth #5 - You Must Hire Someone Internally to Properly Incorporate an Asset Recovery Strategy - False! Though it used to be that this was the case, digitization has changed a lot of the ways that we do business. Look at the popularity of outsourcing and similar initiatives over the past several years. Instead of working out these types of in-house services, many companies are focusing their business on what it does best while outsourcing their other tasks, allowing them to operate more freely and affordable. Instead of having to hire someone who happens to know the asset recovery industry, they simply need to know that they're working with a good asset recovery company that will handle the details for them knowledgeably and in a way that protects their best interests. But will the use of an outside company to take care of your industrial asset recovery needs really be as profitable as operating it in-house? Absolutely! Instead of paying for benefits, training, oversight and so many other areas, you're simply paying a fee to a company that already has the knowledge, customer base and experience to get your used industrial equipment out the door to a new home and money in your company's bank account. This, in turn, frees up capital for future investments while also ensuring the job is completed by professionals with an extensive knowledge base and background to complete the job. Incorporating an asset recovery strategy into your business' overall financial planning allows your company to run more efficiently and remain agile as digitization rolls forward. But that doesn't mean that you need to figure out the entire process or what the best strategy is on your own! NRI Industrial is proud to offer a full suite of industrial asset recovery services to our partners including asset liquidation, consignment services, decommissioning services and equipment purchase. We pride ourselves on being a company with a reputation for success that communicates clear and simple but flexible strategies to clients. One look at our past clientele will show you that our service is something that people trust and come back to. As an industry leader with over a decade of experience, NRI Industrial is dedicated to helping corporate businesses create and execute investment recovery strategies in any and all ways that we can. 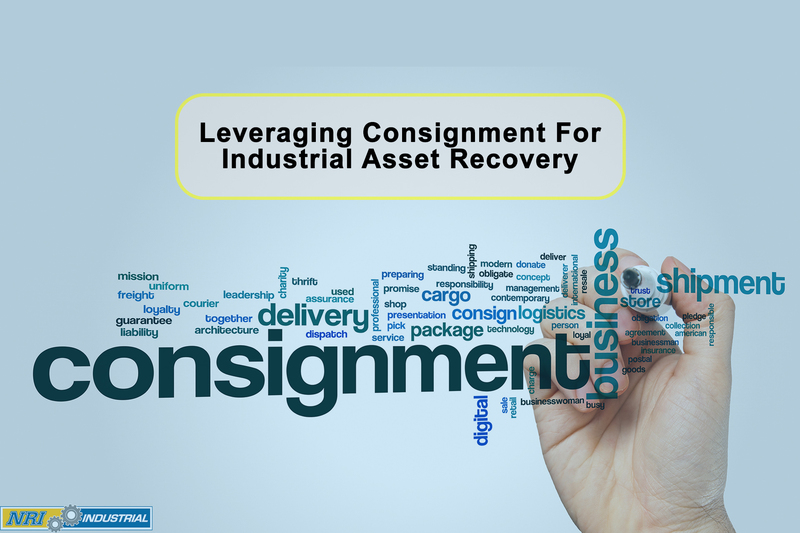 Have a question about how to get started with an asset recovery strategy or looking to start selling used industrial equipment? Give us a call at 1 (855) 709-9813 or email at solutions@nri-isd.com and our team will be more than happy to answer them. 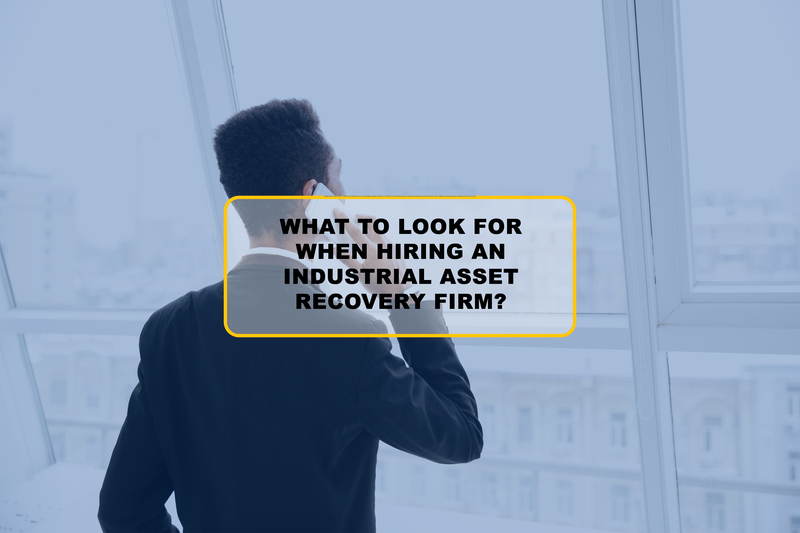 What to Look for When Hiring An Industrial Asset Recovery Firm?